T.B.Edwards, the booker for the baseline measurement. 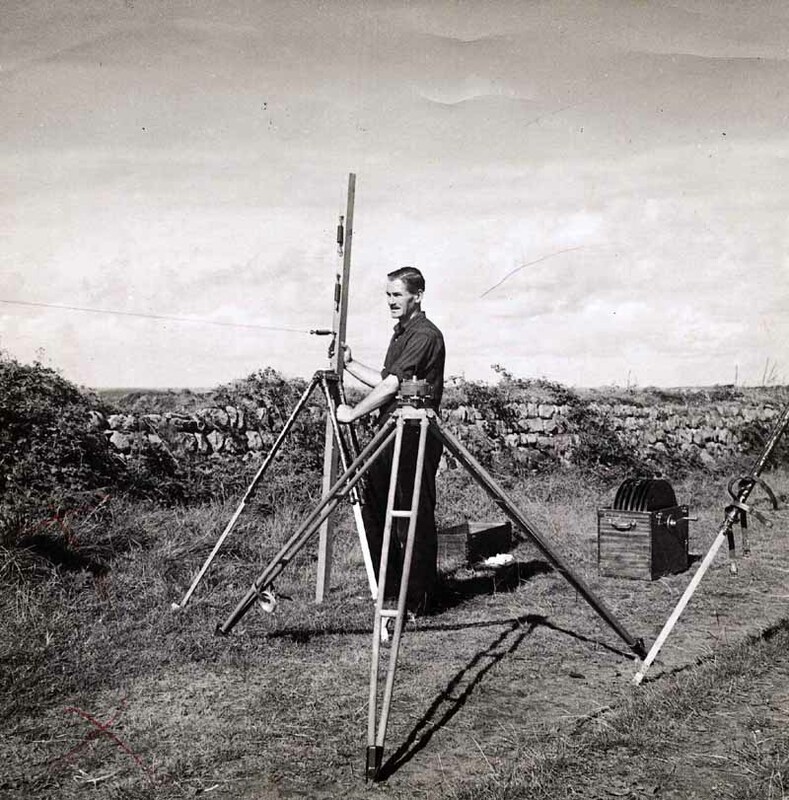 In this picture he is holding the pole carrying the tapes the springs are clearly seen. Behind him can be seen the box in which the tapes are stored.